Anyone here a fan of the pairing? ^^; I'm a great fan of them. im a fan of NaruSaku shipping until Hinata took up the spotlight on Shippuuden (especially her moment in Pain arc). But either way, whoever ends up with whom will make me a happy man. But yeah i think Sasuke is more suitable for Sakura..
And i think it will be too awkward for Naruto too cause he knows how much Sakura loves his dear friend. Ive never been one to look into these stuff, but after what hinata did in the war, putting her life on the line for naruto, and even healing him just before he was about to fall down, while sakura was just staning there seeing naruto get beat up without showing a hint of emotion, yeah.... he needs hinata. Now I am alllllll for Naruto and Hinata, that's who I've been rooting for since wayyyyyyyy back. However, what do you guys think about when Naruto's father asked him if Sakura was his girlfriend and Naruto just kind of rolled with it? 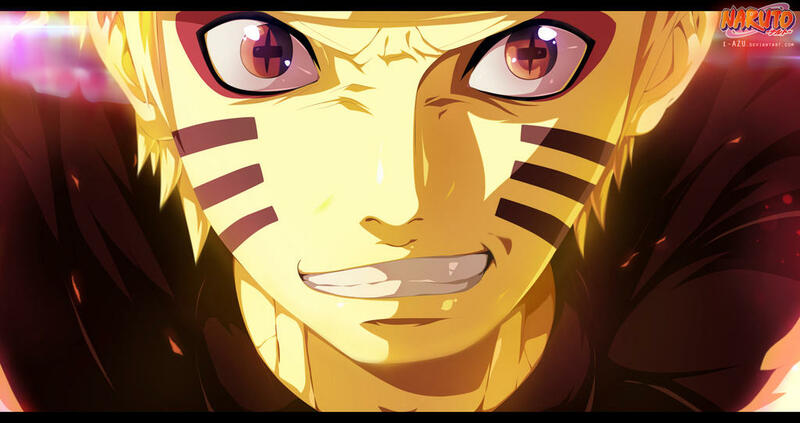 His father also compared sakura to Naruto's mother. I just think its weird that in the middle of a great ninja war, that would just get slipped in there. Do you guys think its not important?